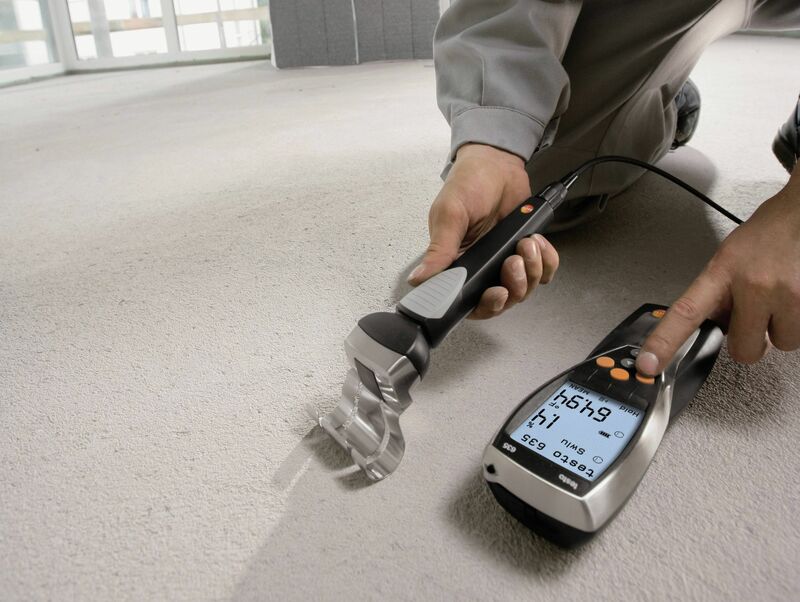 In the field of building technology different types of measuring solutions help you to discover the problems of buildings on the one hand (building moisture, mould, heat bridges) and the optimization potential on the other hand (energy consultancy). We´re happy to help you. 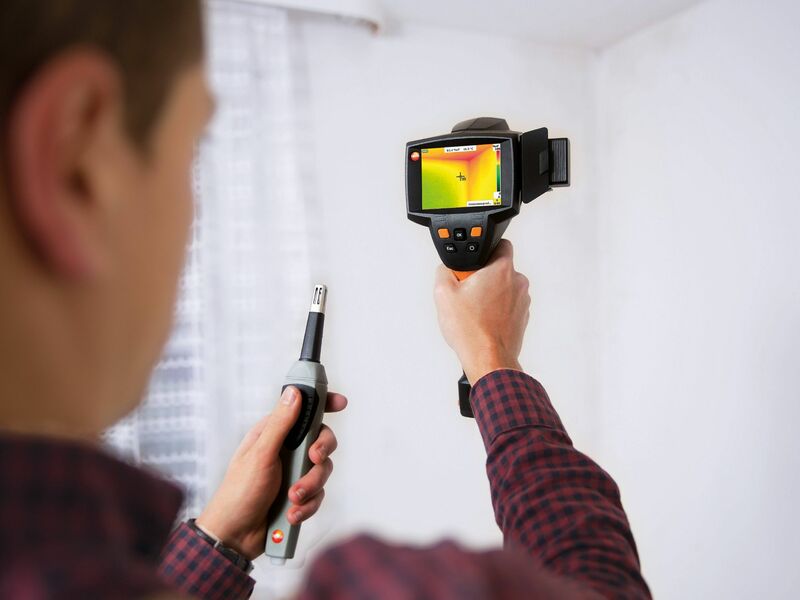 In building thermography, thermal imagers are ideal for quick, easy visualization of energy losses in the heating or air conditioning systems of buildings. 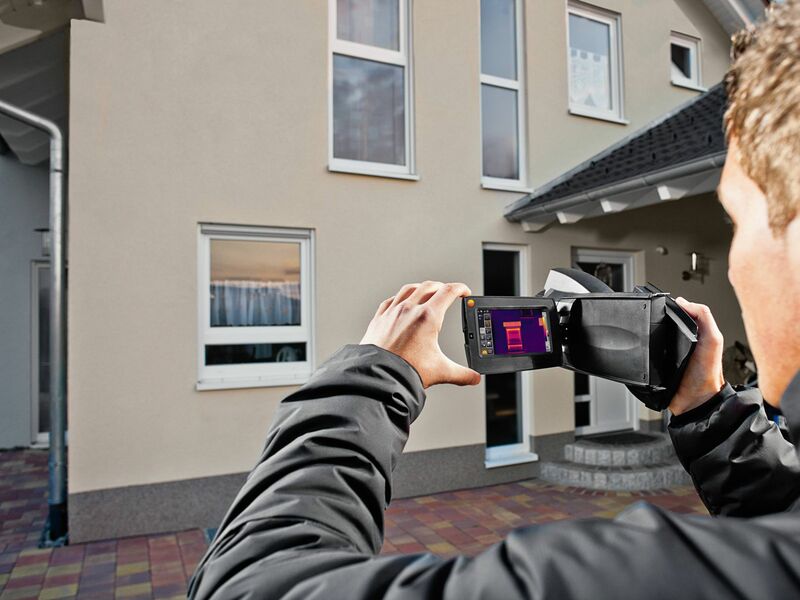 Heating, ventilation and air conditioning installations can be checked easily, quickly and reliably with Testo thermal imagers. Damp ceilings and walls may be a result of structural damage. In most cases, however, it is a sign of improper ventilation. Ingressing water, faulty rain and waste water drains, burst pipes etc. are among the possible causes of building moisture. Depending on where it is getting out or in, building moisture can spread in different ways and enormous damage may be done if it is discovered too late.